Finally, after 19 days I can enjoy a little rest. 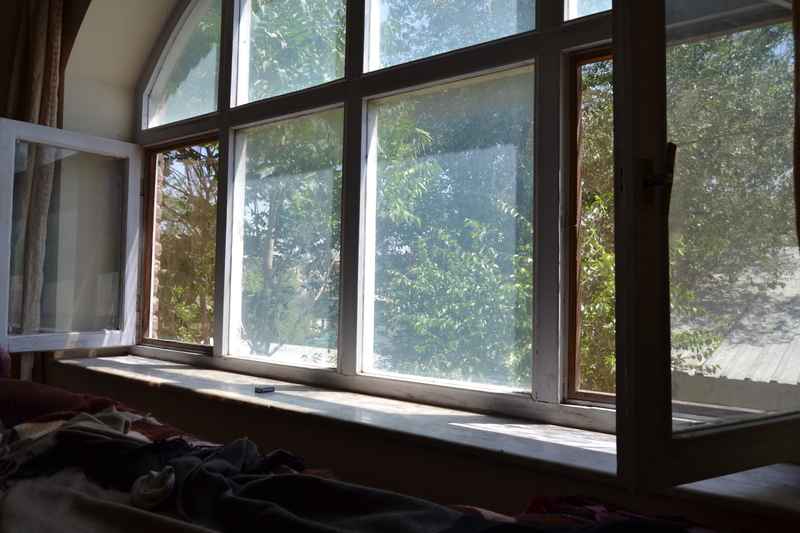 Beside the large window of the room, some trees and a cloud of sparrows chirping from 5 o’clock this morning. I’m back to Kabul since two days and I’m guest in a school where I hold courses for socio-psychological rehabilitation of children in conflict with the law, with psychologists, people that works in JRC, social workers, employees of ministries and students. There is a cool breeze and the place is quiet, an oasis of peace in this chaotic and complicated city, but at the same time simple and direct. Return to Herat was a big surprise for me, meet again students who have developed a lot of things of the job done together, the psychology department that has signed a contract in the days when I was there, to open a new department and a large counselling center inside the university, he made me feel proud of the work done. I remember the first day, almost two years ago, when I was counseling students after the courses in the garden of faculty, was so unusual! My activities were incomprehensible, also for the professors of the department. Then I opened the first counseling center within the faculty of education, with hundreds of request and 90% were made by women. Many students and professors stunned at that time. Then they took inspirations and they looked for resources themselves, to create courses like mine, to open a stable counseling center and help other students. I feel that I completed a mission, a long operation with thousands of troubles, two years of intense work, with so many more white hair in my head, but also with a lot of knowledge and experience. I enjoy these last few days and I hope to be free of bad news from the terrorist side, in this country where the alarm clock can be activated by the pressure of tons of TNT. Satisfaction; is the word that characterizes my current feeling. Being able to do something so big, with very few resources, it is an experience that I never had before. Thanks to all those who in one way or another, were engaged in this development; it was the strength of the group that has allowed this.